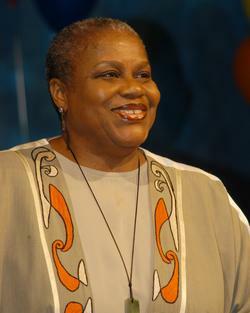 See the gallery for quotes by Bernice Johnson Reagon. You can to use those 6 images of quotes as a desktop wallpapers. 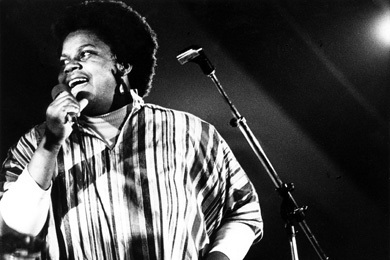 The voice I have now, I got the first time I sang in a movement meeting, after I got out of jail... and I'd never heard it before in my life. And I used to think that proof that I had religion was whether I knew how to sing all of the songs. I just don't think one person has that much to contribute to any subject. I went to a church where you could not sing out loud in the service until you had been saved. There is nowhere you can go and only be with people who are like you. Give it up. When I started graduate school I was interested in the culture of the Civil Rights Movement. At the same time all this was happening, there was a folk song revival movement goingon, so the commercial music industry was actually changed by the Civil Rights Movement. But I'm a historian. I wasn't interested in just being a producer, I was interested in doing research and presenting that research to a general public. I came out of the Civil Rights Movement, and I had a different kind of focus than most people who have just the academic background as their primary training experience. 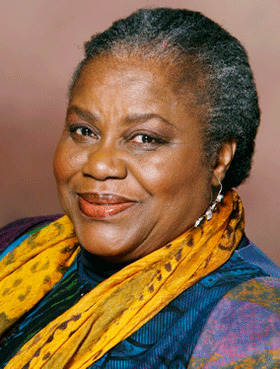 I started graduate school in 1971, I started working at the Smithsonian in the festival in 1972. I went full-time at the Smithsonian in 1974. And I got my doctorate in 1975. I think the Civil Rights Movement changed that trajectory for me. The first thing I did was leave school. I was suspended for my participation in Movement demonstrations in my hometown, December, 1961. I was at the Smithsonian for twenty years, and I'm still at the Smithsonian as a curator emeritus, and I still plan to figure out what that means for me at this point in my life. If I had been at a University I don't think I would have been able to have the experience I had in my Smithsonian work. I don't think I have been as successful. In fact when Sweet Honey was ten years old it was too big for me to run, and I knew it, but I ran it for another thirteen years because I couldn't convince other people to really do it. And this year, I'm not running it. Most people come out of their Ph.D. experience trying to prove themselves, trying to get ahead, trying to get published. You're scared everybody else is going to do your research and get your topic. One of the biggest things I understood in a program like that was that it allowed more young African American scholars to do field research in the Caribbean and in Africa than had ever happened before in the history of the country and since. 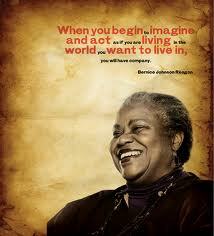 Much more quotes by Bernice Johnson Reagon below the page. The first job I had with the Smithsonian was as a field researcher among African American communities in Southwest Louisiana and Arkansas for the festival. The Smithsonian Festival of American Folklife, actually, was an effort to put something on the mall in Washington so American tourists could walk through America, and in their minds everything on the mall would be American. Well, the first time I ran into the term religion, people were asking whether you had any. You know, some people had religion and some people didn't have religion.